True change comes from consistent, sustainable actions that benefit the employees and help them improve their well-being. Creating a workplace that fosters employee well-being has numerous benefits including a happy workforce, higher retention rates, increased productivity, and greater profitability. 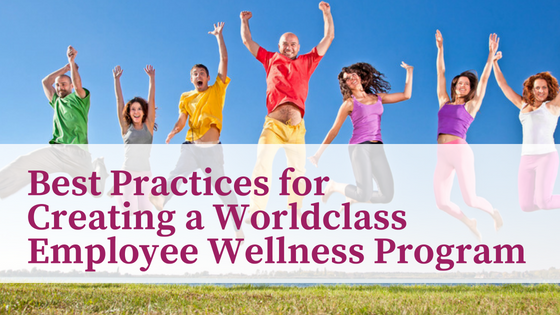 So what does it take to create a worldclass corporate employee wellness program? We can look to Sklar Wilton & Associates (SW&A) for some best practices. Below I share what SW&A are doing, their results and some takeaways and best practices you can use with your company or organization. I recently had the pleasure of speaking with Sarah Liverance, Partner and Lead Engagement Champion at SW&A about their program. It was about 3 years ago that the company decided to make a deliberate commitment to whole person development; encompassing mind, body, and spirit. Their goal is to equip employees with tools to be better people. Each year they set a theme to guide the year, such as mindfulness and this year’s “brain health”. SW&A has taken a very well-rounded approach to their employee wellness program. Wellness elements are integrated into daily life at the office. There have been some tangible and noticeable results from taking action 3 years ago at SW&A. In addition to the awards, there’s anecdotal evidence of success based on comments from staff about how the program has been life-changing, improved patience, improved relationships, and more. Furthermore, the average tenure of their staff is 11 years! Clearly their emphasis on wellness and creating a sustainable, positive environment has paid off. >> Senior Management and all managers/leaders need to be truly committed to employee wellness and back that up with action, not just words. SW&A didn’t just create one “wellness retreat” and check off the wellness box; they’ve created ongoing initiatives throughout the days, weeks, and year to keep investing in employee health. >> It’s not about a “one-and-done” workshop or retreat; that won’t garner great results. True change comes from consistent, sustainable actions that benefit the employees and help them improve their well-being. If we look at some of the elements of the SW&A wellness program, like sending articles, creating a daily movement email, and office signage (not to mention planning workshops and retreats), it’s clear that there are staff who do the behind the scenes work to make those happen. What this shows is that SW&A is investing in those employees to do the work needed to keep the program going. >> Employee wellness programs don’t run themselves (unfortunately). It will take some financial investment for third-party services or internal people resources to create and sustain an excellent wellness program. SW&A created a custom program that met the needs of their staff. They chose activities and elements that worked for their employee demographics, interests, and challenges. >> Wellness programs aren’t one-size-fits-all. The type of content and delivery methods need to match your employees. What works for one company might not be the best for yours. Take stock of what stage of life your employees are in, what are they interested in, how do they learn best and design your program to suit them. If you’d like to chat about what a custom Wellness Program could look like at your company or organization, reach out to me at [email protected]. If your company already has a great wellness program and wants to share more best practices, I’d love to hear from you. Lydia Di Francesco is the CEO of Fit + Healthy 365, a wellness firm that helps businesses improve their employees' health and wellness resulting in greater productivity and profitability. Lydia works with organizations to create custom employee wellness programs that truly get results for the individual and business.